I wish i could help but i don’t have the necessary skills. thank You! especially for work on 403271. if i may add my two cents – there is no way to know the right time for china, as it only states „china”, while they have 5 time zones in there. what’s weird about it, is that under „Date & Time” preferences dialog one can see there are 4 time zones – including beijing, however typing „time beijing” doesn’t give any result. This is a general problem for countries that span more than one time zone. It’s even worse for Russia! Please file a bug against KRunner. China only has one timezone now, though there is an unofficial one to the far west which is 2 hours behind. The latter will mention the 5 time zones China had in the past, but it’s no longer the case anymore. The 4 timezones you’re seeing in `Date & Time` is correct, Beijing time is for all of China(aka CST), Urumqi/Xinjiang time is only used in the far west by an ethnic group there, in parallel with CST. Macau and Hong Kong have some history where they were not part of China for a bit, when sovereignty was transferred back to China, they were permitted to keep authority over their time, but to date have aligned with CST. I could be a bit wrong here, but as far as I understand it the above is correct. So nothing wrong on KDE’s end here, it’s portrayed correctly for modern times. I take it you’re not from/in China? 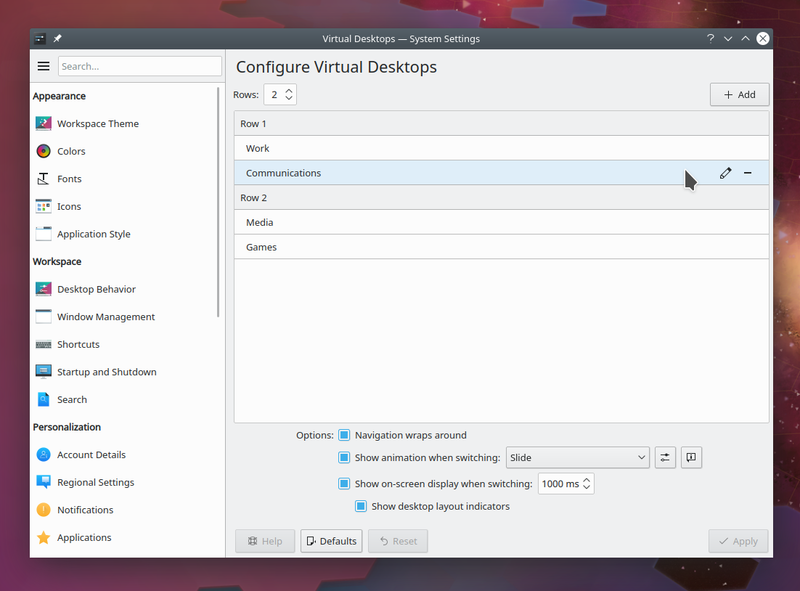 Virtual desktops on Wayland is a big thing, but I’m still waiting for global menus… So no Wayland testing for me yet. I’m also pleased to see bulk unmount icon. 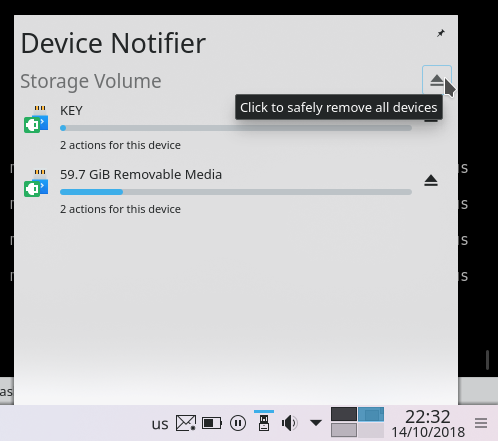 My external device has two partitions and those are treated separately (because of different file systems) and I had to repeat unmount action. Now it’s just one click. Super :). Custom time formatting for the clock widget is awesome! I’d like to see tabbed windows return to KWin. Is there any way you can encourage completion of that feature? Not really. I don’t have enough technical skill to work on KWin, so I don’t have any pull with its developers. Being an NVIDIA “owner” doesn’t mean using their **** proprietary driver. Awesome work as every week Nate. 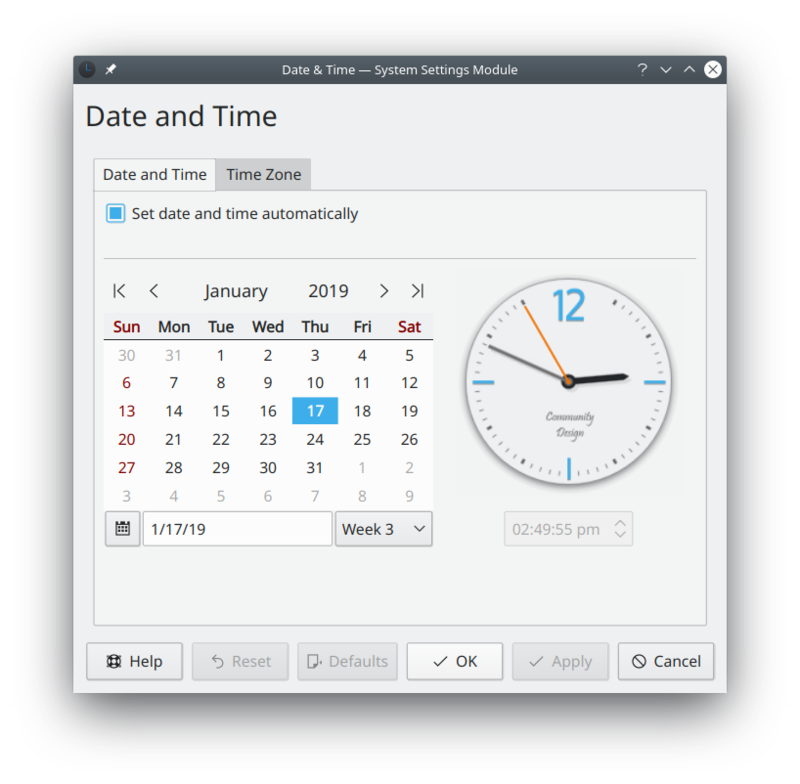 Really great, maybe it’s just a silly new feature, but the one that allows you configure the Digital Clock date format has been disturbing me since i started on GNU/Linux and Plasma, i really prefer use hyphens to slashes, to separate day, month and year, and this was impossible on Plasma, a DE full featured and full of options natively, so i’m really grateful to KDE for this. I can’t wait to have Plasma 5.15 on my system. Very much appreciating the work being done on fractional scaling and looking forward more like it, with “core” apps like gwenview or even dolphin’s menu bar still rendering poorly the road ahead seems long. In fact, everything that appears to be handling pixels manually (all the kdegames, clementine’s currently playing track/volume control, …) seems to be unaware of the upscaling. Is there any way to tackle this issue/behaviour at the Qt level once and for all instead of patching every app under the sun and ultimately ending-up with a mixed bag of “apps with more code, harder to maintain, and old, ugly-looking apps”? Anyway, thumbs up for the relentless good work! The app itself wouldn’t even need to be aware that it’s being scaled-up, and only rely on the canvas Width and Height properties. By “with fractional upscaling applied” I didn’t mean “interpolated so it looks either blocky or blurry”, I meant “if the original viewport is 100×50px, with a fractional scaling of 1.5, it would become 150×75px”. The apps using magic constants are the issue, but even there, I could see the painter API doing something smart and transforming those into the scaled-up coordinates equivalent (it’s all vectors, after all). Really nice! Will there also be a fix soon for the missing ‘applications windows preview’ when hovering over the taskbar under Wayland? It only shows a tooltip for the running application. Has the mouse input KCM bug been fixed in 5.15? Assuming you’re talking about https://bugs.kde.org/show_bug.cgi?id=395401, it’s still broken. 😦 Workaround is to install Libinput. Impressive. 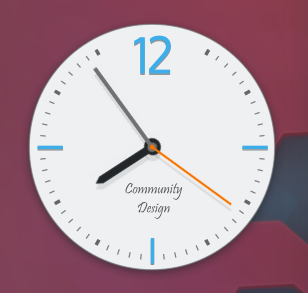 I am happy to see custom date format finally introduced for clock widget, as well as some Wayland improvements. 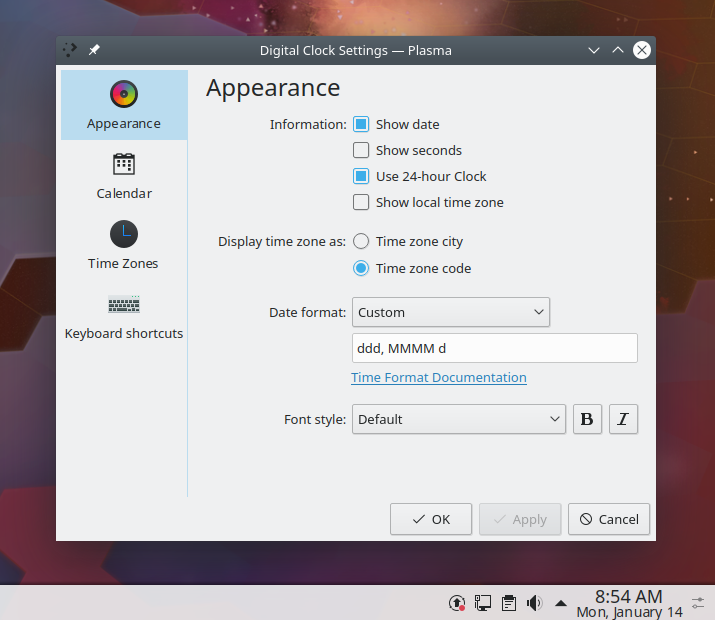 So, an integration of IME (D14796) is not going to make it in Plasma 5.15? Sad, that looked very promising. BTW I installed Neon git stable in dual boot with my main distro (Manjaro) to see and test it. What I noticed so far: hibernation is available as an option in Neon’s logout dialogue (right click -> leave) in live environment, but the installed system has no such option (swap is active of course). Kickoff menu on panel has this option and it works with no issues, it’s just a logout dialogue thing. The same is true for Manjaro btw (5.14). Yes, I’m disappointed too. I hope we can get it into shape for 5.16. 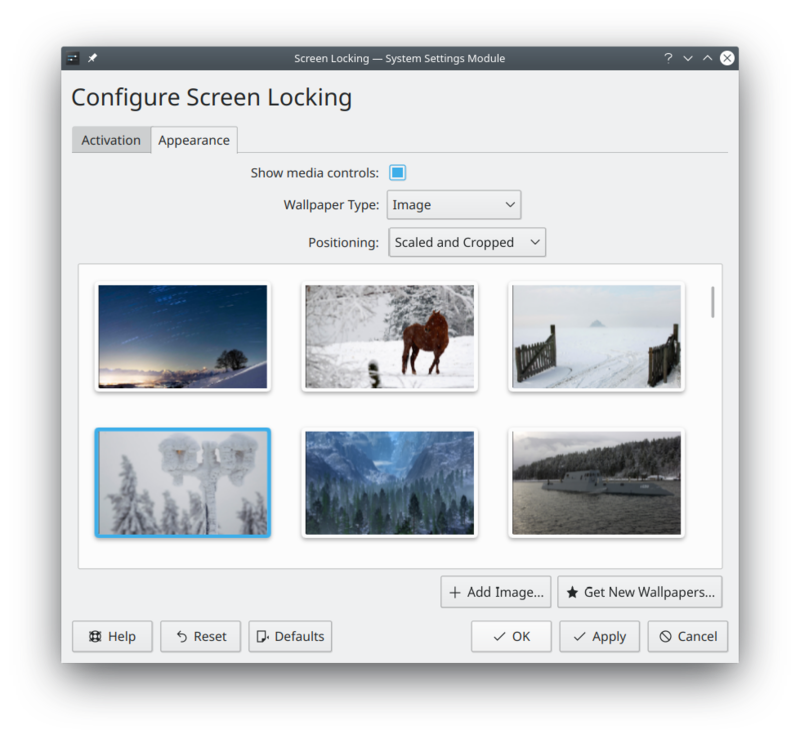 Nate, do you think Plasma could add support for dynamic virtual desktops just like Gnome has? 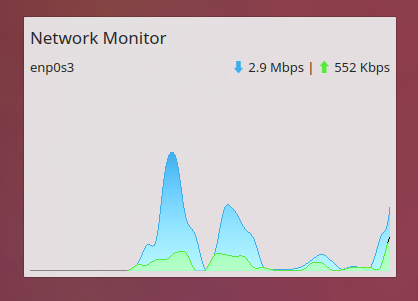 I really miss that part of Gnome in Plasma. There have been a few script approaches for kwin, e.g. https://www.youtube.com/watch?v=UUWS_zk9boQ&feature=youtu.be but it would be great if this was added as a setting to the virtual desktop settings. To be more precise: I imagine on could choose in the settings between the grid approach plasma uses now and the dynamic list approach you can see in Gnome Shell. That way everyone could benefit.